It's the final week of April, which means the start of Fashion Revolution Week and we couldn't be more excited! Revival Collective are organising a Brighton based plethora of events with sustainable fashion at their core. As a little nod to the work they're doing, we thought we'd talk a bit about where our clothes come from. With consumers becoming more clued up about issues like ethics and sustainability in the fashion world, there's a growing demand for supply chains to become more transparent. As a small company, it's easy for us, however most big fashion retailers have hidden their factories and suppliers for a long time now. With this new way of thinking has com a wave of technology to try to address the problem. A new company called 'Provenance' are making it harder for big retailers to ignore the demand for a more transparent supply chain, by offering date and location stamping services, so that you can follow your pair of socks from sheep to store, or your bottle of wine from grape to glass. Whilst we don't have date stamping technology on our labels, you can be sure we know exactly where everything we sell comes from. So here it goes, our supply chain looks a little something like this! 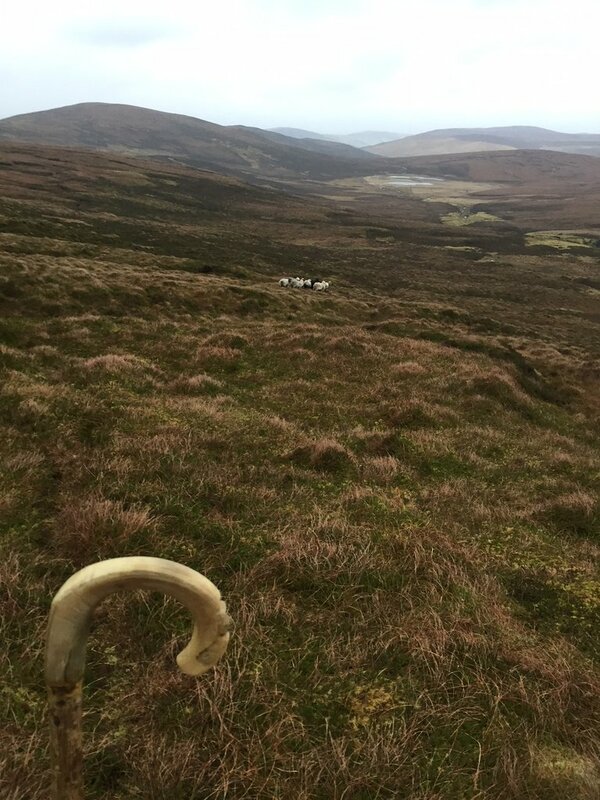 This is where our Shetland wool is sourced from, 2000 acres of rugged hillside and rocky shoreline. This breed of sheep is known for its hardiness, soft fleece and most importantly, for having the widest range of natural colours. Once shorn, the fleece from the sheep is sorted by quality and colour of fibre. Giving us a selection of beautiful, natural colours to choose from. Once the wool has been sorted, its washed, carded and spun into yarn. We buy directly from Uradale so there’s no middle man. Once the yarn arrives at the shop, we set to work knitting it. For the moment, there’s a one woman workforce (who can be seen modelling a beanie in the next image!) No sweatshops here. 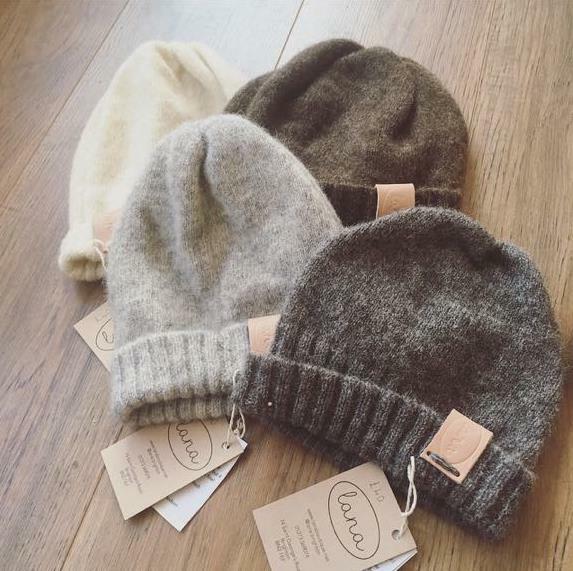 Once knitted and sewn up, the hats are still a little on the large side! We knit them this way so that we can shrink them. They’re popped in a hot wash and come out just the right size, with a supersoft fuzzy texture. Once the hats have been washed, we sew on a wet embossed leather tag. Our leather comes from J Wood Leathers, who source all of their leather sustainably as byproduct from the meat industry. We buy leather that is marked or scarred so wouldn’t be perfect enough to make bags or belts. We pop on a care label and they’re good to go! Super soft, sustainable and traceable almost back to the very sheep they came from.